"You guys come highly recommended!" 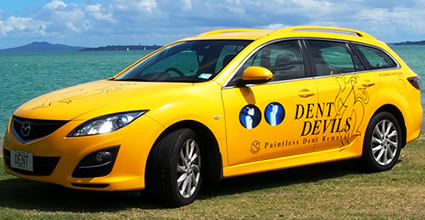 With a consistently growing customer base and excellent reputation for quality paintless dent repairs Dent Devils are expanding. A limited number of business opportunities are now available to the right applicants. With motivation, outgoing personality and a desire to run and develop your own Dent Devils licensed area; you would have the back-up and support of an established quality branded paintless dent removal business. To meet the quality and standards Dent Devils customers expect 3 month's full one-on-one training (months 2 and 3 Earn as you Learn!) is included in your licensed package. Like to know more? In the first instance fill in the online form below to get you on your way. All information received by Dent Devils Ltd will be treated as private and confidential. How did you hear about Dent Devils?